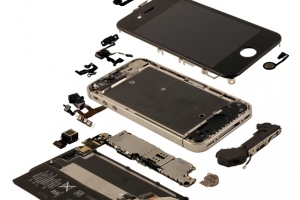 Apple (s aapl) is reportedly just about finished acquiring Israeli flash memory firm Anobit. Last week, reports suggested that Apple was in the process of acquiring the company, and on Tuesday, Israel’s Calcalist reported that Anobit has now informed employees of the deal’s completion. Apple actually already uses an Anobit chip that improves the performance of flash memory using digital signal processing (DSP) in its iPhone, iPad and MacBook Air. It could be useful to help expand the available onboard storage in future iterations of these devices. By acquiring the company in its entirety, Apple can ensure it has continued access to a key competitive differentiator. Official details on price are still unknown, but earlier reports pegged the amount being negotiated between the two companies as somewhere between $400 and $500 million for the 200 person firm. It has been suggested that Apple will open an R&D center in Israel, its first such facility outside the U.S., and it is possible the Anobit acquisition could have something to do with those plans. The office of Israeli Prime Minister Benjamin Netanyahu tweeted a welcome to Apple on Tuesday morning, congratulating the company on its “1st acquisition here,” and assuring the company that it will “benefit from the fruit of the Israeli knowledge.” It’s not clear whether the PM’s office is just reacting to the news reports, however, or if it has inside knowledge of the deal’s progress.